We know in the USA bigger is better! Theses are the standard military calibers used by the U.S.,Germany,Russia, And Italy with the 30/06 being the largest. The 8mm Mauser was very close in size the Italians tried to convert to a larger cartridge for the Carcano (7.35x51) but it proved to be logistically too hard to supply two calibers to transition during wartime. 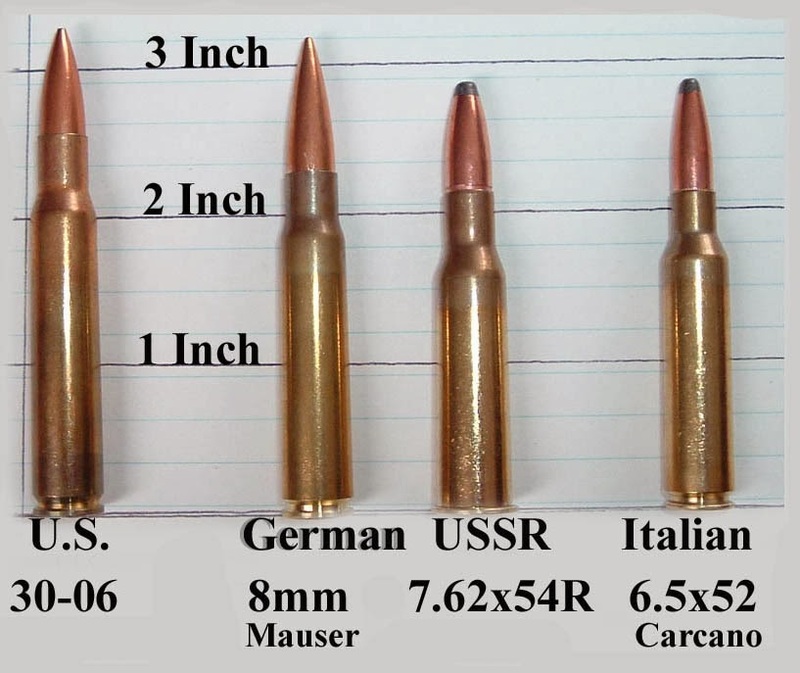 Of course the Russian 7.62x54 was also a very respectable round.